One Step Ahead - Veled vagyunk teljesek! 2018. 10. 13. — 2018. 10. 21. 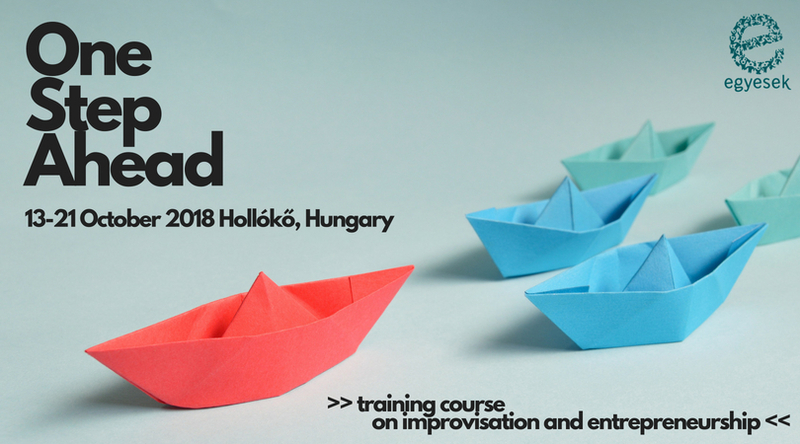 The aim of the project is to train social and communication skills of youth workers and to empower them to use improvisational theatre as an innovative tool to increase the sense of youth entrepreneurship. We will train soft skills, explore taking risks, creativity, problem-solving, how to welcome mistakes and other essential skills for young entrepreneurs. We will also reflect on the regional cooperation between the involved countries, focusing on how to increase the chances of youth entrepreneurship. The project will be practical, active and experiential as well as theoretical. The aim is to equip each partner with necessary tool and knowledge needed to be used and disseminate the gained knowledge within their organizations. By doing so, each partner will contribute to the inclusion of the underprivileged youth in their country.